Celebrating the "New Year of Chassidsm"
Refreshments and drinks will be served. No charge. 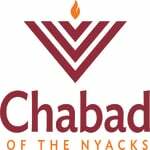 What is YUD TES KISLEV? The 19th day of the Hebrew month of Kislev is celebrated as the "Rosh Hashanah of Chassidism." It was on this date, in the year 1798, that the founder of Chabad Chassidism, Rabbi Schneur Zalman of Liadi (1745-1812), was exonerated of all charges and released from imprisonment in Czarist Russia. Rabbi Schneur Zalman, author of the Tanya, was arrested on charges that his teachings and activities threatened the imperial authority of the Czar, and was imprisoned in an island fortress in St. Petersburg. He was compelled to present the basic tenets of Judaism and various points of Chassidic philosophy and practice. Rabbi Schneur Zalman regarded his arrest as but the earthly echo of a Heavenly indictment against his revelation of the most intimate secrets of the Torah. And he saw his release as signifying his vindication in the Heavenly court. Kislev 19 therefore marks the "birth" of Chassidism: the point at which it was allowed to emerge, to grow and develop as an integral part of Torah and Jewish life. For more about the 19th of Kislev click here. For more about Rabbi Schneur Zalman of Liadi click here. A farbrengen is an informal "gathering of souls" characterized by singing and inspiring talk. Farbrengens are normally convened in honor of special dates on the calendar, birthdays, and on the Shabbat preceding the onset of a new Jewish month (Shabbat Mevarchim). Normally led and moderated by a rabbi or chassidic mentor, the farbrengen offers all its participants the opportunity to express their souls’ troubles and worries. Those present share inspiring insights, practical ideas and stories which fortify spiritual resolve and rejuvenate the participants’ commitment to higher ideals. Chassidic songs and melodies are sung. L’chaims are said. The assembled group thus warms up, and escapes the natural inhibition against baring the soul to others. The results are astounding. Try it. Join a farbrengen and see how it will profoundly affect your life.